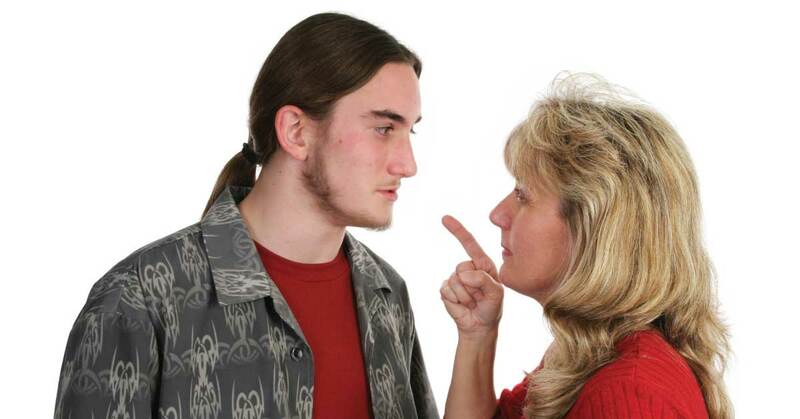 Parenting a teen with behavior issues can be very difficult and discouraging. While it is normal for all teens to engage in a certain amount of defiance, depression or experimentation, it is particularly challenging when a behavior becomes consistent or interferes with healthy development. Behavior modification therapy is a system designed to reward positive behavior while decreasing bad behavior. A behavior modification plan can help struggling parents take back control and get a handle on helping their troubled teen. Choose a negative behavior that your teen can work on immediately and realistically change. By starting small, your child will be able to begin the process with a sense of accomplishment. Set specific goals and make sure that they are clearly defined. Target the main problems you see and work through them a few at a time rather than attempting to fix everything at once. Determine which behavior is most pressing at the moment (health and safety are top priorities) and try to take it a day at a time until you feel a behavior has been mastered enough for both you and your teen to devote energy to another. Allow your son to give his input on a reward for desired acts or behavior. Begin by only focusing on a few goals at a time and make sure that the rewards and privileges you are offering are of high value to him in order to keep him motivated. Be firm about what is allowed and what is not, while recognizing that when your teen is part of the creation of the plan, he is more likely to stick to it. Be flexible if the plan is not working or your son has stopped meeting his goals. It may be that new incentives are required. Rework the plan as needed to keep him headed in the right direction. Be as vocal about the positive progress you see as you are about reminding him of his goals. No one likes to feel as though they are only noticed for bad behavior, so it is important to make sure he knows that you are aware of the progress he is making. A positive attitude can go a long way toward a successful behavior modification plan. Give it time. Negative behavior can often take quite some time to change, leaving both parent and child frustrated. Understand that even small movements in the right direction are still victories to be celebrated. Be patient with yourself and your teen. Be willing to accept outside help. Some teens need more specialized care than their parents are able to provide. In such cases, therapists, counselors and even full time facilities such as residential treatment centers are valuable for parents of troubled teens. If you feel as though your teen has gone beyond the reach of your efforts, discuss your options with a qualified therapist or psychologist. Liahona Academy is a residential treatment center located in southern Utah. We have over 15 years of experience helping struggling parents find help for their troubled teen boys. Contact us for a free consultation to discuss the ways our program might benefit your son (800-675-8101).